Kickball365, founded in 2010, is a social sports company that specializes in organizing and hosting social, charity, and competitive kickball tournaments and leagues throughout the U.S. Our most well-known product of tournament offerings is called The Circuit. 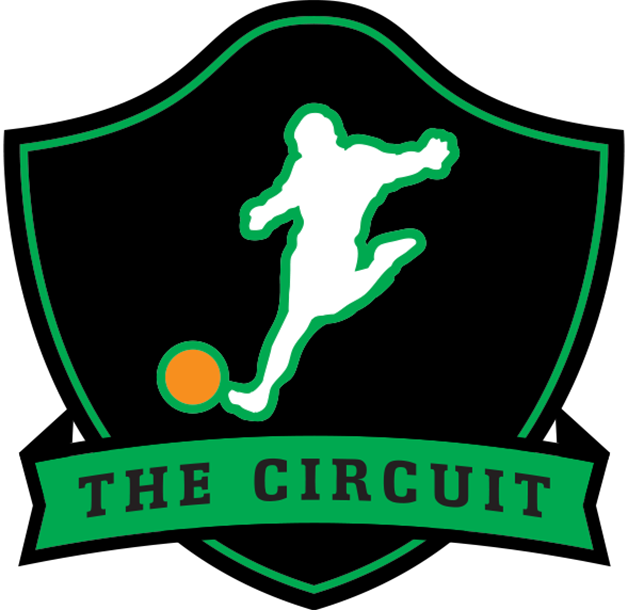 The Circuit is the competitive kickball tournament division of Kickball365 featuring up to 15 unique tournament destinations each and every year. Detailed information can be found in our Structure of The Circuit document. How do I register myself for The Circuit? There is no formal registration to be part of The Circuit. You simply become part of The Circuit by registering and playing in at least ONE (1) Circuit Event. A Circuit Event is a coed or women’s kickball tournament hosted by Kickball365. A full list of events can be found here. Who can compete in a Circuit Event? Any player over the age of 21 with proper health insurance who has formally registered online. What is the format for a Circuit Event? A Circuit Event is an all-day kickball tournament that starts with pool play and ends with single elimination until an overall winner is determined. Each team is guaranteed a minimum of FOUR (4) games, typically played in pool play. What can I expect throughout the weekend at a Circuit Event? Each Circuit Event is meant to be a fun vacation experience full of social activities built in and around a kickball tournament. Players can expect a Thursday bar crawl in some cities, a Friday evening meet and greet, a Saturday night after party, and Sunday Funday activities or wrap up party. The National Tour is our name for the series of Circuit Events in a given calendar year, excluding Circuit Cup Championship in November. Why does registration say “Coming Soon” for certain events? Registration will be open as soon as fields are 100% confirmed. Any event without confirmed fields will show “coming soon” and the date is subject to be changed, although we will do our very best to keep the advertised date. Can you explain the various registration prices and deadlines for Circuit Events? Early Bird: $55. All Circuit Events (excluding championships) have this early bird price if you register FOUR (4) or more weeks before the event date. Regular: $60. This price lasts until the official registration deadline which is TWO (2) weeks before the event date. The deadline time is Saturday night at 1159pm EST. Late: $95. This is meant for emergencies only. Teams no longer have to seek “approval” to add emergency players and can add anyone they choose after regular registration ends up to THREE (3) days before the event date. No registrations will be after the late/emergency deadline. All posted deadlines end at 1159pm EST on the posted date. Please note the time difference if you are in a different time zone. What is the $3 processing fee? This is pays for our LeagueApps registration system as well as all merchant processing fees associated with online payments such as credit and debit cards. How do I send email invitations to players I want to invite to my team? There is no option to send email invites. As a captain, you will have to direct your players to the registration page, have your players log in, and manually select your team from the drop down menu in order to complete registration. Can I prepay for an entire team or other players? All players must register and pay for their own registrations. We no longer permit captains to prepay for any portion of their team. Can I transfer my registration to another player who hasn’t signed up yet? All players registrations are separate and independent. Each player must register on their own and will be subject to the price at the time of that registration. What is Circuit Championship Weekend? Any team who has competed in ONE (1) or more Circuit Events during the calendar year can participate in Circuit Championship Weekend. Individuals must qualify with their team by participating in ONE (1) event with them in order to participate at Circuit Championship Weekend. Can I transfer to a team for Circuit Championship Weekend? All players must play with their Circuit Championship Weekend team at least ONE (1) time during the calendar year. Players are not permitted to use their lone transfer to go to a new team for Circuit Championship Weekend. Please see the official transfer document here. What is a Circuit Team? Any team that is made up of players completely from the same region that the captain identifies as a Circuit Team at the time of registration. Any team that does not meet this classification will be considered an Availables Team. What is an Availables Team? This is our term for “free agent” team at any given Circuit Event for teams that are meant to be together only one time. Transfer rules do not apply for these teams as long as the Availables Team in question stays under 15 players total with no more than 5 players on the roster from any single Established Circuit Team. For Coed Events, Availables Teams may have no more than TEN (10) Males on the roster. How many players are allowed on a team at a Circuit Event? Minimum: each team is required to field at least EIGHT (8) players in the field and kicking lineup with at least FOUR (4) must be female. Maximum: there is no limit for new or existing teams in The Circuit. Availables teams have a cap of no more than 15 players total. Are there any restrictions to a kicking lineup? Yes. All kicking lineups must have at least FOUR (4) females and may contain no more than 15 players total. Are there any jersey or number requirements? our team may wear any jersey, shirt, or color scheme you like. Names and numbers are not required for individual players. How are teams ranked at a Circuit Event? Teams are ranked using a blend of ELO, FIFA, and RPI ranking systems. A full breakdown and description of each can be found in the Structure of The Circuit document. How are Availables Teams ranked at a Circuit Event? Their team rank will be based on the average ELO, FIFA, and RPI of each player that is on the team. There are X number of teams in my pool. Who does my team play? These are the most common pool play scenarios. This can vary based on strength of scheduling and overall tournament format. 3 Team Pools: you will play the other TWO (2) teams in your pool plus TWO (2) crossover opponents from other pools. 4 Team Pools: you will play the other THREE (3) teams in your pool plus ONE (1) crossover opponent. 5 Team Pools: you will play the other FOUR (4) teams in your pool. 6 Team Pools: You will play FOUR (4) other teams in your pool. The 1 and 6 seeds will not play each other, 2 and 5 seeds will not play each other, and the 3 and 4 seeds will not play each other. Why do certain Events have THREE (3) pool play games with every team moving on to single eliminations? This format fits certain types of events better than others. We guarantee a minimum of FOUR (4) games for each team at every event and do our best to schedule those as pool play games. Sometimes we must get creative and use other ways to guarantee FOUR (4) games though. What happens to a tournament during inclement weather? We make every effort to play through weather in most cases except when lightning is present. Please see our full weather policy. I can no longer attend an event. Can I receive a refund? Kickball365 does not issue monetary refunds. As long as you submit a request to [email protected] before the late/emergency registration deadline (at 1159pm EST/859pm PST), you will be issued a site credit that may be used at any future regular Circuit event. No credits will be granted after the final registration deadline. As a Captain or Coach of a team, do I need to register and pay to participate? Yes, if you intend to play in any of the games you must register and pay the registration fee the same way a player does. If you are a Captain or Coach who does not play at all you may register for $35 OFF the code NONPLAYINGCOACH365. How many Non-Playing Coaches can sign up for a team? A maximum of TWO (2) per team per event. I am a Non-Playing Coach and forgot to register for my team. Can I still coach? All Non-Playing Coaches are held to the same standard as players and this includes adhering to all registration deadlines. If you fail to register by the posted player deadlines you will not be allowed to participate as a coach. I have new players who have never played in The Circuit before. Can they try it out for FREE? Yes, with restrictions. Any player who has never played in a Circuit Event dating back to 2011 can register for any team for 50% OFF using the discount code NEWKICKBALLER365 on the registration screen. The code must be entered at the time of registration (ie we cannot retroactively apply it after the fact and will not refund anyone who doesn’t use the code correctly the first time). This option is for Circuit Events only and cannot be used for any Non-Circuit, Charity, or Social event. Females playing for the first time in TWO (2) events in the same weekend may use this code for only ONE (1) of the events. How do I sign up as a Referee? You may register as a referee on the specific tournament registration page. Simply use the “Referee” option and you’re all set. We will email you additional details the week before the event. How do I become a PRO Referee? Please see the full list of requirements and how to apply here. What are the benefits of being a PRO Referee? What is a Non-Circuit Event? (see calendar here)? Non-Circuit Events are independent kickball tournaments we help promote and run that utilize our rules and tournament structure. Circuit points may not be earned and regionalization/transfer rules do not apply for these events. My team played in a Non-Circuit Event. Do we qualify for Circuit Championship Weekend? No. Only Circuit Event teams can compete at Circuit Championship Weekend. Your team must compete in ONE (1) official Circuit event throughout the year in order to qualify. This is an option for players to purchase bulk Circuit Event registrations in advance at a discount. Passes are good ONLY for the year they are purchased for any Circuit Event EXCEPT Circuit Championship Weekend. Unused passes cannot be transferred, refunded, or carried over to the following year under any circumstances. How do I purchase a NationalTourPass? These passes are only available from November through the end of each year and can be found here. How do I register for a Circuit Event using my National Tour Pass? Each pass is a unique discount code that will emailed to you after purchasing it. Please enter this code on the registration screen for any tournament you are attending. If you accidentally bypass the screen with the discount code, it may not let you go back and enter it. You will automatically be removed after 24 hours if you do not pay for the registration so you can try again at that time. If you get stuck, please email [email protected] and we can assist you. I forgot to use my Tour Pass when registering. Can you apply my Tour Pass to the registration? All Tour Passes must be applied at the time of registration. We are unable to apply passes to your registration after the fact. Can I use my National Tour Pass for Circuit Championship Weekend? No. The pass is only good for all regular Circuit events on the National Tour EXCEPT Circuit Championship Weekend. Can I transfer or allow my friend to use my NationalTourPass? No. Each pass is for the individual assigned to the unique code. Any improper uses will be caught during roster audits and any players who used someone else’s code will need to pay the registration fee in order to participate. Repeat offenders will risk forfeiting the pass in question. How do I live stream kickball games at a Circuit Event? We utilize the Periscope app. Here are the steps in order to contribute to this live streaming community. Twitter account (also FREE). You can create a generic account or link to any existing account. Either way, make sure this is linked to the Periscope account in the Periscope app. This is important. When you’re ready to live stream in Periscope, put “@kickball365” (without the quotes) anywhere in the title. It’s that simple. How do I watch live streamed kickball games? The easiest way to see what games you can watch is to check our public Twitter Feed (you do not need a Twitter account to do this). Live games on Periscope are automatically retweeted and displayed there to give you multiple options. The links to these videos will automatically play on your computer browser or will try and open inside the Periscope app on your phone. What types of leagues do you offer locally? We offer a wide variety of leagues including social, competitive, draft, women’s only, and men’s only. Are your leagues competitive like your tournaments? No. Our leagues are social and meant for a fun way for players to meet others and enjoy the sport of kickball. Any leagues that are more competitive will be clearly designated as such in the name of the league. Registration can be completed in a few east steps: First find and choose your league here, click the blue “Register” button, then click the appropriate registration option to start a team, join an existing team, or become a free agent. Why is there not a league in my city? We are always looking to bring Kickball365 leagues to new cities. If you are interested in working with us, please email us at [email protected].